Costco hearing centers offer five brands of hearing aid: Rexton, ReSound, Kirkland Signature, Bernafon, and Phonak. Each brand is rated for different levels of hearing loss. If you're in the market for a hearing aid, check out our top hearing aid companies by clicking the link below. There is a substantial need for affordably-priced hearing aids with 17 percent of Americans having some hearing loss. The average hearing aid costs around $1,500 and is likely not covered by insurance. Costco combines bulk buying power with trusted hearing aid brands and in-store service to distinguish themselves from the competition. Costco hearing aid prices range depending on the model and start at $899 each. Some hearing aids cost as much as $1,399 each. Custom molds for canal models cost extra. These prices are not especially low for hearing aids, but insurance and cleanings are bundled into the Costco price. Costco Hearing Centers carry five brands of hearing aids: Rexton, ReSound, Kirkland Signature, Bernafon, and Phonak. Customers can find hearing aids to suit their preferences and address from mild to severe hearing loss with open fit hearing aids, behind the ear (BTE) models, Bluetooth behind the ear, receiver in ear (RIE) hearing aids, canal and completely in-canal models. You can control all hearing aid models from Costco with mobile apps, and some offer optional hardware to enhance various needs, such as streaming TV audio directly to the hearing aids. We included the cost of hearing aids at Costco when provided in the brand descriptions when the company provided pricing, and you will find price ranges for all types of hearing aids sold at Costco are in the chart below. 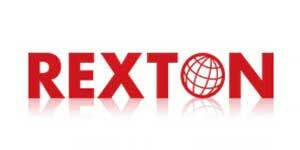 Rexton Hearing Aids: The Rexton hearing aids at Costco Hearing Centers include the latest Legato line. The Legato iX is almost invisible in the ear and requires no impression for fitting. The Legato Li features a long-lasting rechargeable lithium-ion battery and Bluetooth capabilities in a RIC hearing aid. These models offer voice amplification for more comfortable conversations over loud background noise. You can use the Connexx Smart iPhone or Android app to control Rexton Legato hearing aids, and the Connexx Smart Connect app to regulate your hearing aids for watching TV, talking on a Bluetooth phone or listening to music. Accessories include Smart Connect, a hands-free Bluetooth remote that allows you to hear phone calls, stream music, TV and other audio directly to your hearing aids. ReSound Hearing Aids: ReSound offers a line of hearing aids including several choices like tiny in-canal models, RIC models, BTE hearing aids and hearing aids for children. The in-ear models come in five light to deep skin tone shades, and the BTE and RIC hearing aids come in a few skin tones, light and dark gray, black and white. Resound’s RIC models also come in assorted fun transparent colors like purple, red and orange. 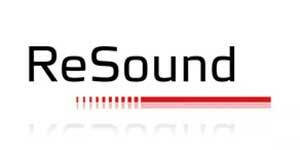 The Resound Smart app for iOS and Android works with Resound Forte models to control your hearing aids. Among the many accessories, you can add to ReSound hearing aids are a microphone to help you hear one to a few people in a loud environment, the Phone Clip+ which turns your hearing aids into earbuds for use with mobile devices and a TV streamer that sends sound directly to your hearing aids. Kirkland Signature Hearing Aids: Costco’s hearing aid brand, Kirkland Signature 8.0, are energy efficient RIE hearing aids that automatically adjust to the environment you are in to reduce background noise while the two aids work together for a natural surround sound hearing experience. Connect to your iPhone or Android smartphone for hands-free phone calls or to stream music. Kirkland Signature 8.0 hearing aids come with a free mobile app you can use to adjust your hearing aid settings and volume and come in a variety of neutral tones plus blue and berry red. A pair of Signature hearing aids come with 10 zinc-air batteries and feature Secure-Tec dust and moisture resistance. 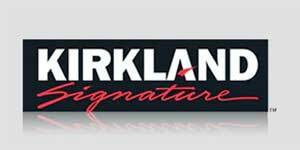 Kirkland Signature 8.0 hearing aids cost $1,699 for a pair. Phonak Hearing Aids: The Phonak Brio 3 sold at Costco Hearing Centers are available in custom in-ear, BTE and RIE models and a Power RIE hearing aid that works well in the most challenging hearing environments. 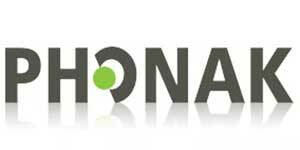 Phonak hearing aids boast an exclusive operating system used to analyze sound levels around the wearer to automatically adjust the settings. Brio 3 hearing aids come in a variety of colors, and the Phonak Remote app for Android and iOS acts as a remote control for Brio 3 R-C hearing aids. You can enjoy the convenience of hands-free phone calls and streaming music or TV audio directly to the Brio 3 R-C model. If you choose a lower model Brio 3 hearing aid, you can use the Phonak ComPilot Air II to send stereo-quality streaming sound to your hearing aids. The ComPilot lets you stream from Bluetooth-enabled devices and works with the Phonak TVLink and RemoteMic hardware for streaming TV or audio over distance directly to the hearing aids. Top of the line Phonak hearing aids cost around $1,400 at Costco. Bernafon Hearing Aids: Bernafon hearing aids sold at Costco excel at automatically adjusting to the sounds around you at any given moment. With the EasyControl A app for iOS, audio can be streamed directly to the hearing aids, and the wearer can make hands-free phone calls. These hearing aids are made specifically for use with iPhone, iPad and iPod Touch mobile devices. If you have an Android phone, you can use a small accessory with a belt clip to have hands-free phone conversations and streaming audio to your hearing aids. 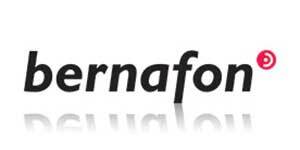 Bernafon hearing aids sold at Costco come in custom in-ear, RIE and BTE styles. Prices range from $1,250 to $1,450. Costco offers free hearing tests in stores with hearing aid centers. There is no obligation to buy anything with the hearing tests, and the results are not diagnostic tools for any specific condition. These tests determine if you could improve your hearing, not what is causing hearing loss. Warranties vary by model and manufacturer, but Costco provides free loss and damage protection with no deductible for most hearing aids. Costco also checks and cleans hearing aids at no charge, and the Hearing Centers hold frequent events where you can see demonstrations of hearing aids and the accessories available with some hearing aid models. There is no hard selling at the events, and you’ll go home with plenty of information and a goody bag to help you decide which hearing aid works best. 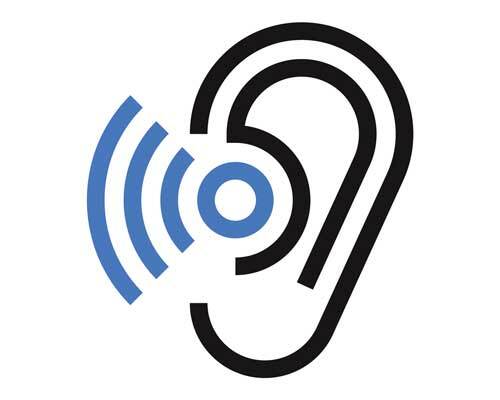 The majority of Costco Hearing Center and hearing aid reviews are mixed with many stores receiving positive reviews and ratings, but other stores having less than stellar ratings among customers. Customers who wrote reviews on ConsumerAffairs gave Costco Hearing Centers a cumulative score of just under three out of five stars. The majority of complaints revolve around store location, appointment times or trouble with some hearing aid models. The Better Business Bureau gives Costco Corporate an A+ rating. Do Costco Hearing Centers take Medicare? Medicare does not cover hearing aids and only pays for hearing tests done to diagnose a medical condition. If you have a Medicare supplement or Medicare Advantage plan, you may have some degree of hearing aid coverage. Check your plan documentation or speak with your insurance provider to determine if you have coverage for hearing aids. Is there a doctor at Costco Hearing Aid Centers? Not all Costco locations have a doctor on staff in hearing aid centers, but trained employees can adjust and care for each hearing aid model sold. Employees who perform hearing tests have additional training. Can Costco repair hearing aids? Your hearing aids will need to be sent back to the manufacturer for repairs in most cases. The time required to complete the repair varies based on the type of fix and the manufacturer policies. Does Costco offer discounts on hearing aids? Sales and discounts on hearing aids are few and far between at Costco because prices are already low, starting at just under $500. The most expensive hearing aids at Costco cost around $2,000, which is probably much less than you will find at an audiologist’s office. Will my insurance cover hearing aids from Costco? Most health plans currently on the market do not cover hearing aids or offer only limited coverage. Those offering limited coverage may pay a small portion of the cost and could have coverage limits related to the diagnosis. An exception is hearing aids for children with twenty states mandating this coverage in some capacity on health insurance plans. With nearly 33 percent of people age 64 and over and half those over age 75 needing hearing aids, finding affordable solutions can be a challenge for seniors. Costco uses their bulk buying power to help reduce hearing aid costs while still providing an in-person fitting with service after the sale. Many Costco members can learn about and shop the variety of brands available at Costco Hearing Centers with no pressure to buy.